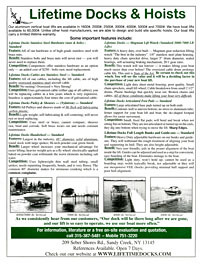 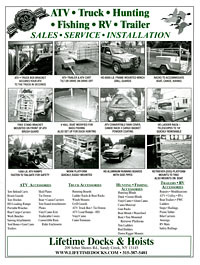 Here are some brochures you may like to look over. 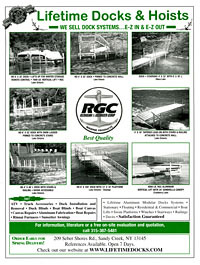 Of particular interest is the site survey. 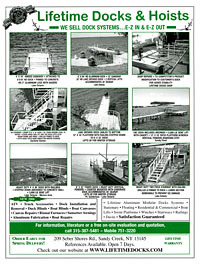 This form provides us with a much better understanding of your particular situation with regards to having a dock installed. 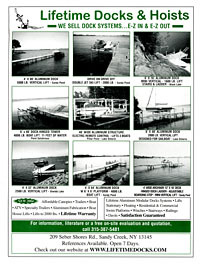 There are so many variables, that no two dock installations are the same. 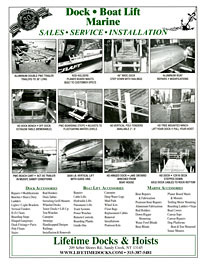 Your waterfront conditions, the access to your dock and lake or river bottom conditions determine what type of leg supports you will need.